We’re so excited to announce that this week Lovin’ Spoonfuls rescued its 6,000,000th pound of food! It’s been 7 years in the making, and we’re grateful to all of our partners and supporters who helped get us to this incredible milestone. 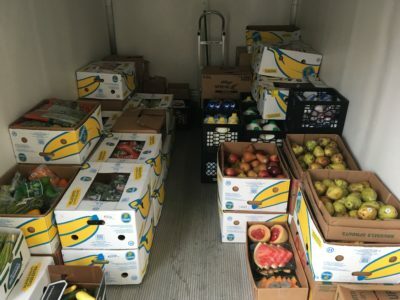 On Monday, our team of 8 drivers picked more than 13,631 pounds of food from a total of 42 vendors, distributing to 36 individual beneficiary agencies across eastern Massachusetts and MetroWest. Here are some of the highlights leading up to the big moment! Cathy & Deb started their day at our new partner Star Market Brighton, picking up nearly 150 pounds of fresh fruits, vegetables, and dairy. Meanwhile, Reggie’s day began at Sudbury Farms in Needham, and driver Lisa had a morning stop at partner Eataly Boston! Anthony’s first stop was Big Y in Milford, where he loaded 434 pounds of fresh, healthy food onto Mamie, our MetroWest truck. Jacob and Vinny collected 374 pounds at Roche Bros. Westwood, and several hundred more pounds of beautiful, fresh produce at their sister store in West Roxbury. Finally, Joel picked up a whopping 773 pounds of produce, dairy, proteins, and bread from Target in Everett, carrying us well past the 6 million mark! March also toppled our previous monthly record with over 225,000 pounds of food rescued. 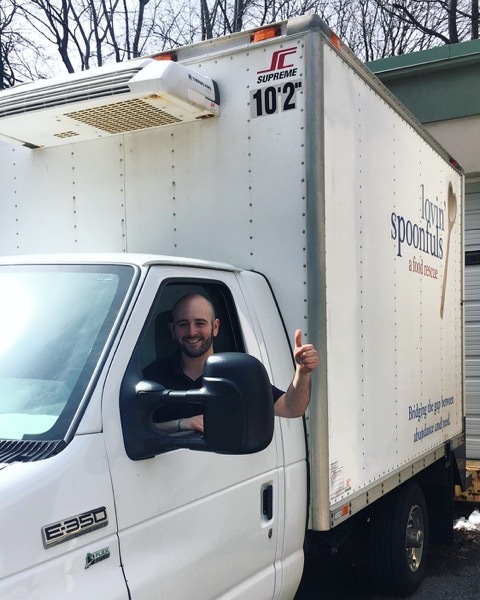 Please help us keep the momentum by considering giving to Lovin’ Spoonfuls today so that we can surpass our 2017 goal of rescuing 2.5 million pounds of food!